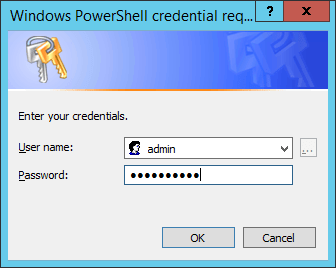 This week I had a customer who couldn’t connect to Office 365 with Outlook, after a server reboot. 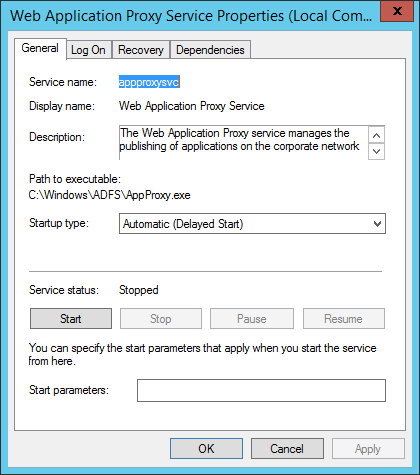 When they tried to connect to Office 365 online, there was an error from the ADFS server. I Quickly realized the ADFS wasn’t working properly. 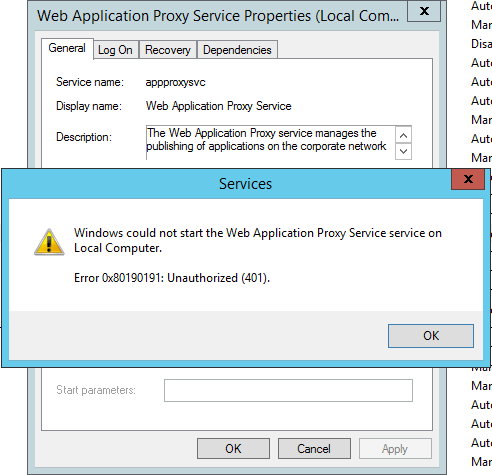 Windows Could not start the Web Application Proxy Service service on Local Computer.